Daughter and I got so excited when I saw RWM's fb post earlier today. TOYCON 2013 at the Newport Mall. 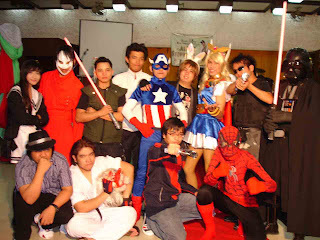 Then several years back (2008), we attended the debut party of a friend's daughter and theme was cosplay. Yey! 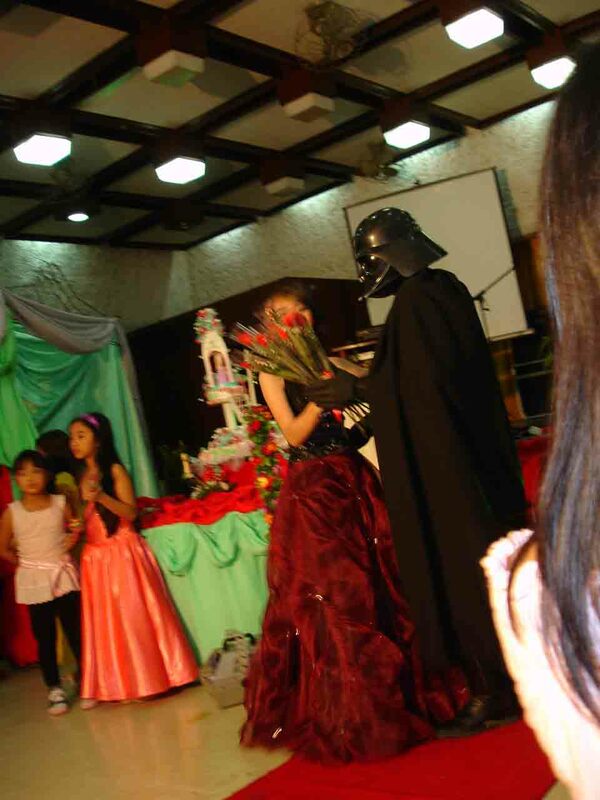 Unfortunately though, guests weren't asked to come in costume and I have a small part on the program since the celebrant- Alexis, is my goddaughter. The early birds posing in front of the camera. These kids belongs to the first cosplayers group in the country and most of them are professional cosplayers now. 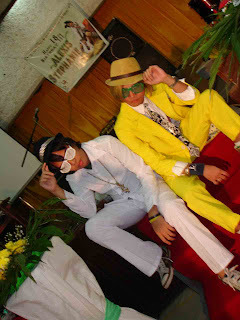 The one wearing the yellow suit is the celebrant's brother. He is now a professional cosplayer. One of his latest gig was with Derek Ramsay, as Kidlat, during the show's mall tour and premier night. The debutante dancing with Darth Vader. How cool is that? 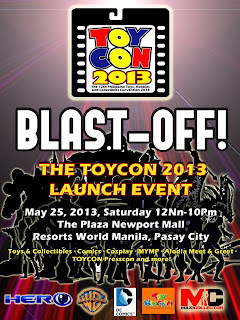 So on May 25, I'd like to invite everyone especially kids and the kids-at-heart to head off to Newport Mall at the Resorts World Manila for the launch of 2013 TOYCON. Event will be start from 12nn till 10pm. Famous Filipina cosplayer- Alodia Gosiengfiao will grace the event. Hope to see you there and don't forget to bring your cameras or wear a costume.